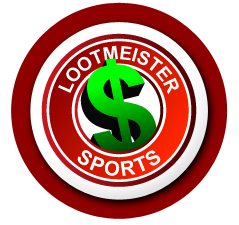 Welcome to the Lootmeister NFL betting page! Here you'll find a ton of information about football gambling which will increase your odds of beating the bookies! Football betting looks easy; but it's not! The almighty point spread wreaks havoc on sports bettors thus making it a numbers game. We're experts. Know why? Because we learned from trial and error as we lost our butts for MANY years before we even got a sniff of winning (or breaking even for that matter). NFL betting can be beat! You need to arm yourself with knowledge though, and lots of it! Be sure to read all of the articles below, as well as all of the articles in the left menu of this page. Once you're done absorbing all of our tips, strategy and advice, you'll turn football gambling into football investing! Enjoy! Keeping a Good Perspective - The NFL season can be trying, both from a financial and mental standpoint for bettors. Maintaining a sound mental perspective can do wonders for your bottom line. It's easy to act properly when winning, but having a solid headspace will make sure that the rocky passages don't result in total ruin. In this article, Loot reminds us of some beneficial things we can do in order to remain sound mentally over the course of the season. Take a look! How Football Betting Works - Everybody has to start somewhere! I sure remember the first tiem I looked at betting odds in the paper! I was CLULESS what all the plus and minus signs meant and then of course wondering what the larger number was. (The total lol). This article acts as an ice breaker that will teach you the basics of what all that stuff means. What is Vigorish? - Loot explains how vig/juice works in sports betting which is how the bookies/sportsbooks get their commission. He also reveals where you can go online to bet at "reduced odds" which will cut you vig in half, saving you an enormous amount of cash over the long term! Reduced vig betting is like receiving a bonus every single time that you bet! Examples of Bad Bets - Loot talks about certain situations, lines and wagers to avoid. Some of them are very tantalizing but are best avoided at all costs. He also gives parlay players a hot tip where to find parlay bets that are calculated at -107 odds instead of the -110 that you're laying. It doesn't sound like much of a difference, but the difference in payouts are GIANT! Steam Plays - Loot explains how steam plays work and gives advice on what you should do when you see line movement caused by smart money/wiseguys. Avoiding Bad Odds - Being on the wrong side of odds will result in this industry and game chewing you up and spitting you out. You need every single advantage that you can find. Football betting is a grind where 1% can and will make a huge difference. Loot gives you some tips on how you can avoiding walking into bad odds. Why Betting Systems Don't Work - Loot points out that there are no shortcuts in life, nor football betting. Systems take the handicapping out of betting. Just because it was hot and sunny yesterday, doesn't mean the same will happen today. Loot points out that systems don't work (long term) and that with double up strategies, it's just a matter of time before you get burned. Dangers of Betting NFL Chalk - While it may look easy and feel like you've got a lock betting a good team on the moneyline at -500 to win, these are BAD bets. Do you realize that if one of these bets lose, you have to win 5 straight games in a row just to break even? This is a break-even propositon at best (assuming you're wagering on an incredible home team) and should be avoided at all costs. How to Interpret Line Movement - Loot teaches readers the difference between early line moves made by wiseguys/sharps and squares/public money. Preseason NFL Betting - Most NFL bettors don't even give a second look at pre-season point spreads. Their thought process is that the games are unpredictable due to 2nd/3rd stringers getting most of the action along with veterans looking to latch on somewhere. What most of these bettors don't know is that pre-season games are easy to beat. Why? Many coaches spell out their gameplan to the media and follow that plan to a "T". They don't care whether they win or lose these games. Their main concern is evalutating talent. With known playbook/gameplan in hand, bettors can make bank betting NFL preseason games and that's just what most sharp bettors do! Bets We Should Utilize More - I was once invited into a bookie's office and was absolutely floored by the amount of parlays and teasers his clients were betting. Fellas, you simply can't win long term wagering this way! Here I talk about bets you can make that will increase your odds of winning against the sportsooks. There is No Such Thing as Bad Luck - Loot dispells beliefs that you may have about jinxes, superstitions or angry gambling gods. These things simply don't exist or have any bearing on the result of a play or a game. Football betting is a grind in which you'll see every possible outcome happen (including tons of bad beats) if you bet on the game long enough. Signs That You Made a Bad Wager - We've all done it (and still do). We lose a fat bet and immediately go into chase mode. We get down on our favorite team not really knowing if they'll win or not. We're uncertain about which team will win but get down on it anyway because it's on TV. The list goes on and on. Loot talks about signs that you've made a bad bet with hopes that you'll learn from your experience and become a more astute football bettor. What Professional Handicappers Do - A select few are lucky enough to make a living gambling on football games. What separates you from the wiseguys? Sharps have a very firm set of guidelines they live by in order to achieve success. Read this article and apply a handful fo these "secrets" to your betting arsenal and become a "better bettor!" Head Fakes - Big line moves that happen shortly after opening lines are released almsot always denote sharp/wiseguy/syndicate action. Loot cautions readers to blindly hammer these lines as sometimes the smart money is setting the books up for a late week head fake. This article may change the way you view betting line moves! The Problem With Teasers - Many will tell you that these are sucker bets. Well, they kinda are! As their name states, they tease you. Tease you into thinking that you can make easy money by moving the spread that you probably thought you could probably already beat without moving the spread. The ability to move the spread makes it a lock right? Not so fast! Loot talks about the pitfalls of these wagers. Making it Hard on the Book - Bookies offer a load of different betting options, many of which they'd prefer that you play, rather than sticking to straight bets/totals. Loot talks about avoiding what the bookie wants you to do and deciphering sucker bets. Dealing With Inflated Point Spreads - Bookies are notorious for padding lines on isolated games (Thanksgiving/MNF/Super Bowl) sucking the value out and making it extremely difficult to make money on these games. Loot gives advice on how to deal with these situations. Football Betting Terms - It's a good thing to be familiar with the terminology used before stepping foot into the sportsbooks. Not to be confused with "football terms", this list is solely comprised of words associated with football betting. NFL Betting: The Juice Explained - Many novice sports bettors think that football betting is a 50/50 proposition. As you may know, this couldn't be further from the truth! The sportsbooks have a built in commission called "the juice" (aka: Vig/Vigorish). Loot explains how this works and offers you a hot tip that will change the way you bet forever! Pitfalls of Betting Favorites - When two teams play, one is usually better than the other. The point spread makes up for this difference in talent. While general common sense might tell you that the better team will win, this isn't always the case. Furthermore, when point spreads are invovled, you can't just bet favorites all the time. This practice will erode your bankroll and send you into bankruptcy. Loot goes in depth to talk about why you can't always bet NFL favorites. Dealing With Losing Streaks - Many a bettor have gone on tilt due to losing a bunch of games in a row. This almost always results in a complete depletion of bankroll. Check out Loot's article that advises readers what to do and how to act when you're in a betting rut. NFL Betting Study: Teams Coming Off Lopsided Wins and Losses - This article supports what we believe to be fact... That NFL point spreads are created based on the public's perception of how they think a team will do after they've looked good in a previous game. The betting public (squares) are likely to think that a team running well will continue to do well. The sharps and bookies, are already a step ahead of the public in baiting their trap. There is something to be learned from this article! Don't forget it and you'll likely increase your winning percentage ATS a couple percent! How NFL Free Agency Affects Betting - The media always seems to juice up the coverage when a big name player gets signed. Often times, the player which has big name value is entering a period of his career where he's ready to go into decline due to age and wear and tear. Loot points out that the smaller name signings generally are the ones that have the most impact on a team.